The book summarizes the latest research and developments in dairy biotechnology and engineering. It provides a strategic approach for readers relating to fundamental research and practical work with lactic acid bacteria. The book covers every aspect from identification, ecology, taxonomy and industrial use. All contributors are experts who have substantial experience in the corresponding research field. 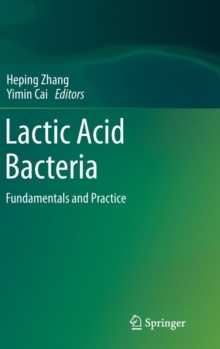 The book is intended for researchers in the human, animal, and food sciences related to lactic acid bacteria. Dr. Heping Zhang is a Professor at the Key Laboratory of Dairy Biotechnology and Engineering Ministry of Education, Inner Mongolia Agricultural University, China. Dr. Yimin Cai works in Livestock and Environment Division, Japan International Research Center for Agricultural Sciences (JIRCAS), Japan.